Superstitious residents of the regions known as Preakness, Haledon, and other suburbs hemmed in by the lofty hills known as High mountain, writes a Patterson, N.J., correspondent to the New York World, place extra bolts on their doors now o’ nights are are careful to be indoors “after hours.” Numbers of superstitious ones, and some who are not superstitious by any means, are willing to make affidavits that they have heard uncanny sounds proceeding from the heights, and nearly every body in the vicinity who has been near the foot of the mountain after dark will vouch for the statement that mysterious lights have been seen flitting to and fro up among the trees. They said they had climbed to the top of the mountain, where the lights had been seen, when all at once they were surrounded by lights that jumped around them and climbed the trees and performed other acrobatic feats. Although they appeared to be right in the midst of the flames not a hair on their head was injured and their clothing wasn’t even singed. They smelled phosphorous just as plain as it could be smelled, and while they were wondering what to do next the wind whistled through the trees, producing such unearthly sounds that they came right straight away and let the wind have it all to itself. Doubting Thomases in the audience plucked up courage and firearms enough to make the trip themselves and they, too, soon returned, looking as pale as the historical ghosts and shaking like rattle-boxes. Nobody showed a disposition to go home, and finally, when the host informed them that it was time to close up, they started off in a group and spent the night together by a hospitable neighbor’s fire rather than pass the mountain until daylight did appear. Since then the phenomena have been witnessed by scores of those who were brave enough to approach within sight of the bleak and densely wooded mountain, and the matter has been the chief topic of conversation in the country stores, in the taverns, in the village schools, and has even been refereed to by the local dominies. The town hodlums are now free of going to the stores after dark, for their parents would not think of sending them where they would not go themselves. The jolly hosts of the roadside taverns are jolly no longer, or must be content to be jolly by themselves, for the loungers now lounge at home. Old residents say that the same thing occurred just before the last cholera epidemic, and that the light presaged another visitation of that dread scourge. Scores of old timers are willing to wager on this, and prominent citizens are willing to encourage them in their belief, for it is on record that the same thing did occur in 1836, just before death stalked through this section of the country. Reports from Pike county, Pennsylvania, say that the same phenomena have appeared there just as they did inÂ 1836, and that the citizen of that place spend most of their night-times in their homes. Citizens who pretend to be wise assert that the Pike county phenomena are caused by the escape of coal gas from the mountains, and that it is really no phenomenon at all, but is the result of natural causes. 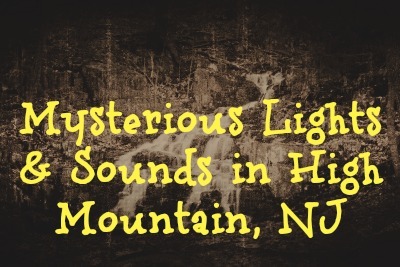 They also say that the mysterious lights on High mountin can be traced to the same cause, and are apparently honest in their belief that a vein of coal would be found by anybody taking the trouble to hunt for it. Â Should this prove true there is wealth in store for the gentlemen who own High mountain, but they will have to seek foreign aid to unearth it , for no native will go within gunshot distance of it since the experiences above related.